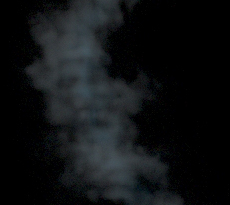 I’ve found that if I’m trying to create a simple wispy smoke at resolution I’m constantly fighting the ‘voxelization’ pattern in the smoke. its where there is a blockiness of the resolution pattern comes in. I believe its a relationship with the emission rate / resolution and speed the effects moves away from the emission site; do you have any techniques or workflows to counter the problem? I believe that increasing resolution will make the problem finer. Including temperature etc will help disguise but there must be some recipe to balance the settings without just disguising the problem. It looks like you’re using Maya Fluids. Thanks for the reply - its a nice render. I’m under the impression that Bifrost is limited in what it can do and the effects it can achieve - it can do smoke well enough but struggles in other areas. I figured if I was to invest some time I might as well make sure I don’t go down a path that is limited - Your, right I am using fluids. Similarly with krakatoa its focus on fluids, and commands a price almost as heavy as arnold plus an essential workstation license. I’m just not confident its a valuable avenue to pursue. fluids and arnold seem more established, with a better track record, and price value. Have you tired setting the renderinterpolator to smooth under shading quality on the fluidshape node? I’ve spent too much time on this an feel its failing - if I have to go through this balance problem every time I have a new shot it will kill me - hoping fume will be more reliable and user friendly to problem solve. when you say “I also used lighting other than what was in-built and that helped” basically you were using the poor builtin fluid lighting. Stay away from it (if i remember well probably only Mentalray is allowing this). Having blocky fluid it’s a common “problem” of course it’s linked to the grid resolution, but also the render engine and how it deals with the interpolation. I don’t have particular problems with maya fluid and arnold and you can also have blocky fluid with fume. Also the easy way to slow down your sim is to do it on the cache. yes lighting was an interesting one - I was trying to use the self lighting to try and find a look and always expected to put in real lights. I didn’t expect that lighting system to contribute so much to artifacts. The expert from autodesk forum said it to do with one voxel being made a value above 1 and the next voxel close to zero. Resolution helps but if your filling voxels to 10 and then not spreading well to the next there is an underlying problem to solve. I’ve just purchased fume (and am waiting for a version to install) so I’ll be on the lookout for the problem there. I have soup and its been good - I like the curl node and have tried the upres - I find it interesting it will upres the fluid while maintaining its world space size where as in maya if you upres the fluid scales down inside a higher resolution box. By the way I’m a redshift subscriber and love the fast software - but it just doesn’t do texturing on fluids making it a bit of a time waster in this respect. They have plans to implement so fingers crossed. I should also mention slowing down simulations with cache isn’t an option as I need to attach to live action footage.